Purchasing a complete practice solution is an investment of time and money. The difference between success and failure comes down to how quickly it is implemented and the favorable acceptance of office staff. When doctors, billers, and front-office are comfortable with the program, the software shifts to the background of the practice allowing for the focus to be on the patients. 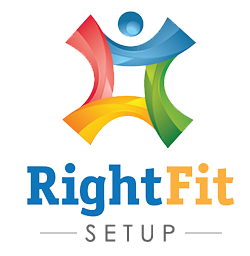 RightFit Setup is a training and implementation process exclusive to the Chiro8000 software. With RightFit, a collection of current chiropractic professionals personally handles your software implementation, enabling all roles in the practice to get up and running quickly and effectively. RightFit Setup is included at no extra charge with every new software package. 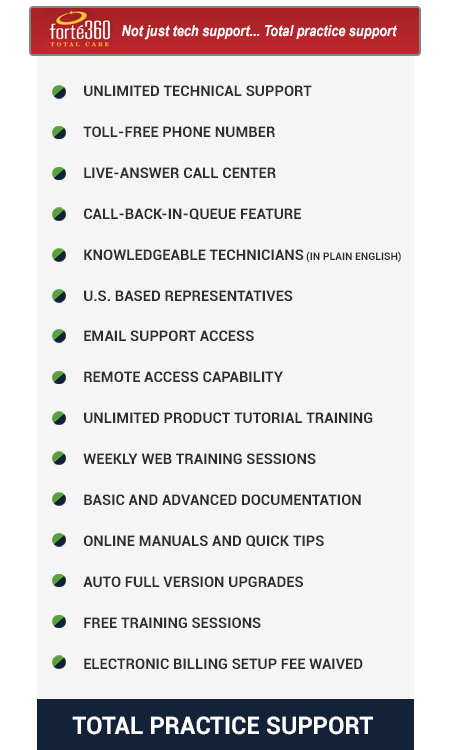 Remote access capability (some issues can be resolved faster if our techs log directly into your system to fix it).